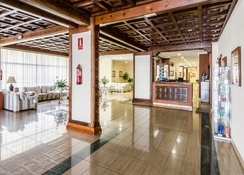 The Hotel Blue Sea Puerto Resort is a contemporary 4-star resort, strategically situated in the northern part of Tenerife Island. Its numerous facilities and sublime surroundings let couples, families and groups enjoy, relax and have unlimited fun in the sun. Most of the rooms in the resort offer spectacular views of the lush green mountains as well as the beach. The hotel houses two outdoor swimming pools for adults and one children’s pool. The facilities at Hotel Blue Sea Puerto Resort include car rental, playground, laundry, Jacuzzi, spa (free web clients), night shows, club, free Wi-Fi, parking (additional cost), fitness centre, restaurant, pool bar and much more. The hotel’s location is distinct yet sophisticated, where you will find trees, mountains, sun, sand and of course the sea. You can find this fabulous resort in Santa Cruz de, Tenerife, Spain. Those who want to satisfy their luxury shopping needs can take advantage of Centro Commercial La Cupula and Canary Centre, which are positioned close to the hotel. The Tenerife North Airport is 25.2km from the hotel, which will enable the guests to travel without any hassle. At Hotel Blue Sea Puerto Resort, the rooms are categorized to accommodate solo travellers, couples, families and groups. The room types include Double Room, Single-Parent Room, Double Superior Room, Double Room (Single use) and Single Room. Some of the room amenities include air conditioner, TV, heating, terrace or balcony, phone, safe (additional cost), hair dryer, mini bar (additional cost) and free Wi-Fi. The Blue Sea Puerto Resort houses a restaurant offering themed meals for five days in a week, thus you will have numerous cuisines and dishes to explore during your stay. Guests who want to savour alcoholic or non-alcoholic beverages can head to the pool bar, which showcases abundant number of liquors. Apart from this, you can also leverage the in-room service provided by the hotel. 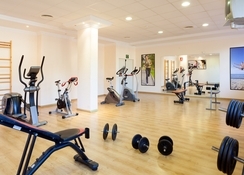 The sports, entertainment and leisure facilities always surpass the guest’s expectations. 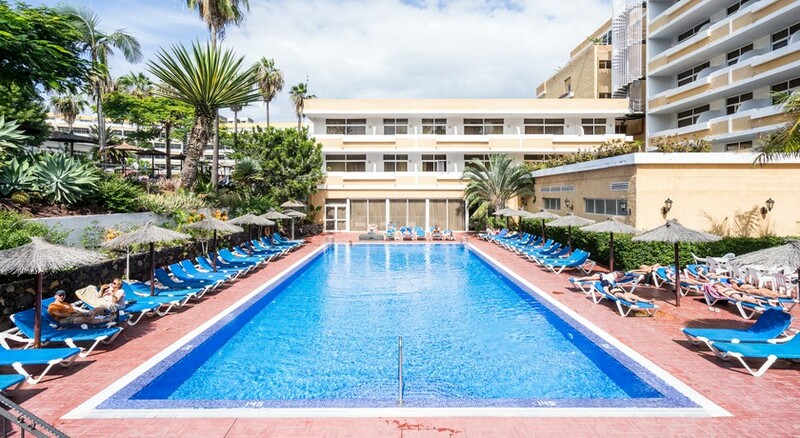 Take a relaxing dip in one of the adult-only outdoor swimming pools or simply bask in the Canarian sun. Alongside the outdoor pool, you find a pool bar serving refreshing drinks and cocktails. Kids can also have fun in the children’s pool under the supervision of the hotel staff. Get yourself pampered under the hands of expert masseurs in the hotel’s spa. If you feel energetic head to the tennis court. Those seeking unlimited fun and entertainment can take advantage of the night shows. 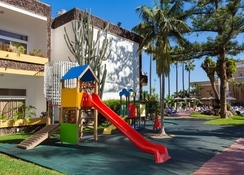 Children too can have unlimited fun in the club for children (4-11 years) and playground. If you are staying in this hotel to explore the region, then you can make use of the car rental service provided by the hotel. Guests who want to conduct their business meetings or social events can leverage the conference hall. We had a great time staying at this hotel,all of the staff was very friendly,the food was great and the night time entertainment was a lot of fun. The hotel and resort was very good.would go again if the price was reasonable. Food good. Rooms good and clean. Fresh towels and spotlessly cleaned by maid every day. You can choose to eat between the 3 hotels in the complex with a good choice of food at each sitting. Indoor pool heated. I think the only disappointment was all the entertainment was geared towards the Germans of which there were many in the hotel ! Wifi very poor even in reception area. Would definatley go back again tho.